I am a massive fan of the show Family Guy and there has been no episode of the show that I have enjoyed more than the episode “Brian Wallows and Peter’s Swallows”. His love for his family and preparedness to work in a dead end, blue collar job to keep them in their home and food on the table. He is an ideas man: who could forget the “Hindenpeter” or the episode he decided to deal with an FCC ban on certain TV shows by creating his own TV network. He is extremely loyal and would do anything to help his friends. Peter Griffin is worthy member of my list of 5 great bearded blokes. 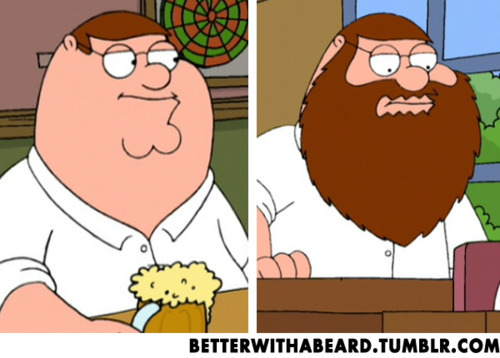 I just wish the writers of Family Guy would bring back his beard permanently!